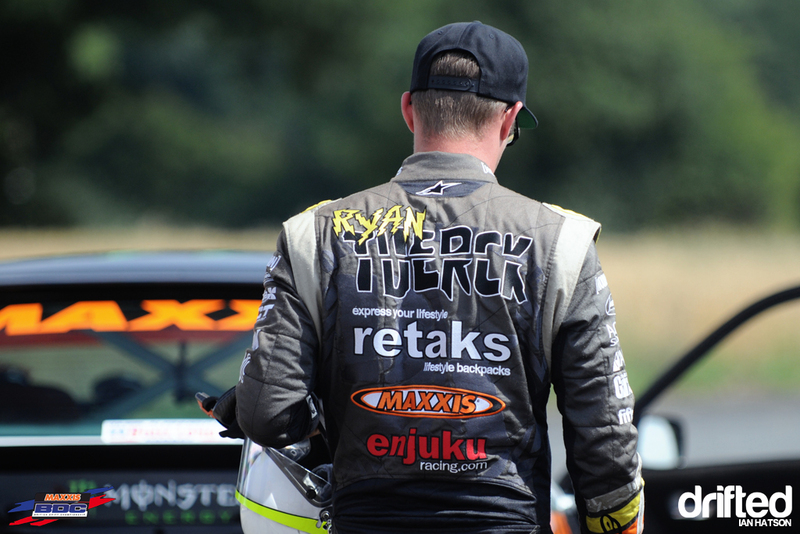 Fresh off the plane from the US, Maxxis, Retaks and Enjuku Racing Formula Drift driver Ryan Tuerck yesterday stepped into the Maxxis Japspeed Lexus to get to grips with the car before this weekend’s Maxxis British Drift Championship round at Lydden Hill, Kent. 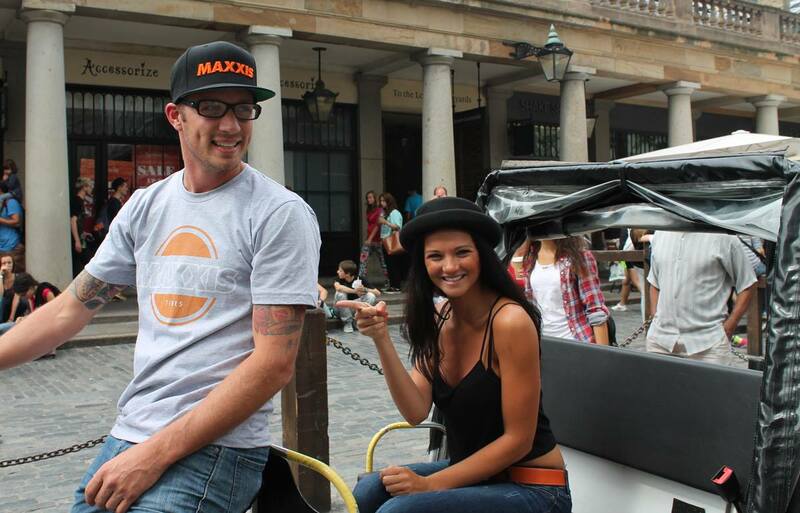 Before meeting up with the Japspeed team, Ryan first took some time out to explore the capital with Maxxis Babe Nickie Ann. 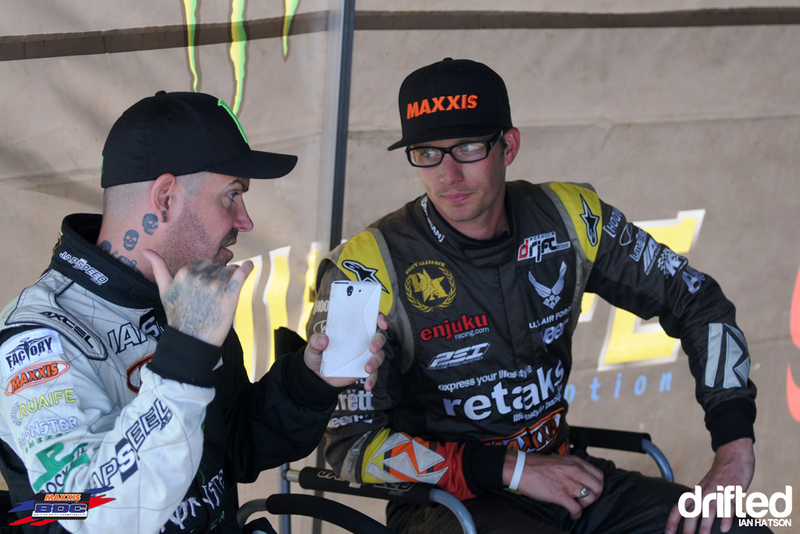 The hard life of a professional drifter eh? 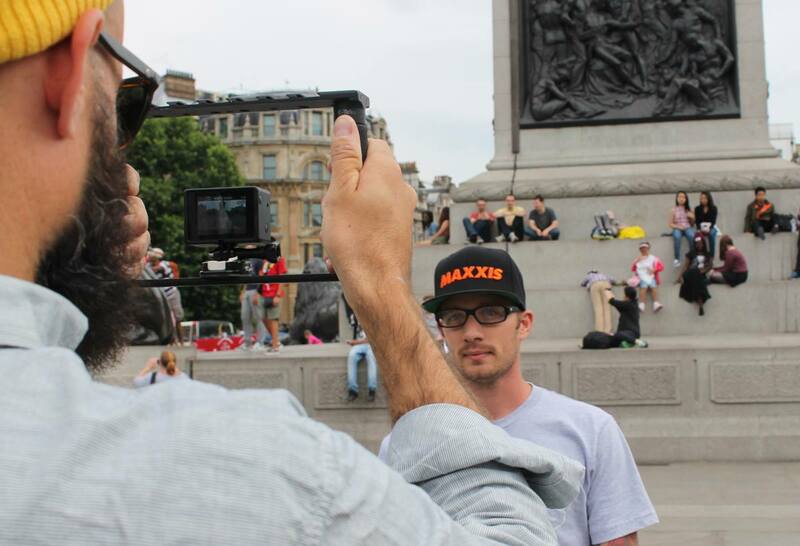 Ryan was also busy filming his own video from his UK visit with videographer Andy Laputka. 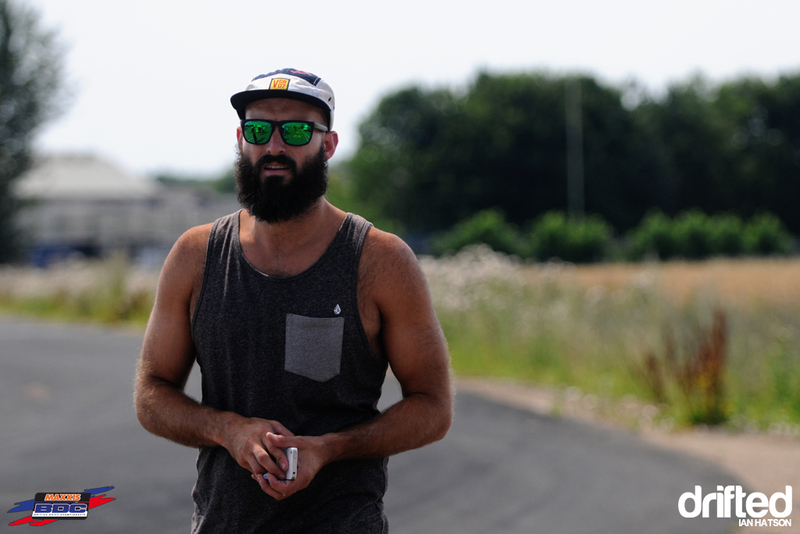 Who incidentally has an amazing beard. 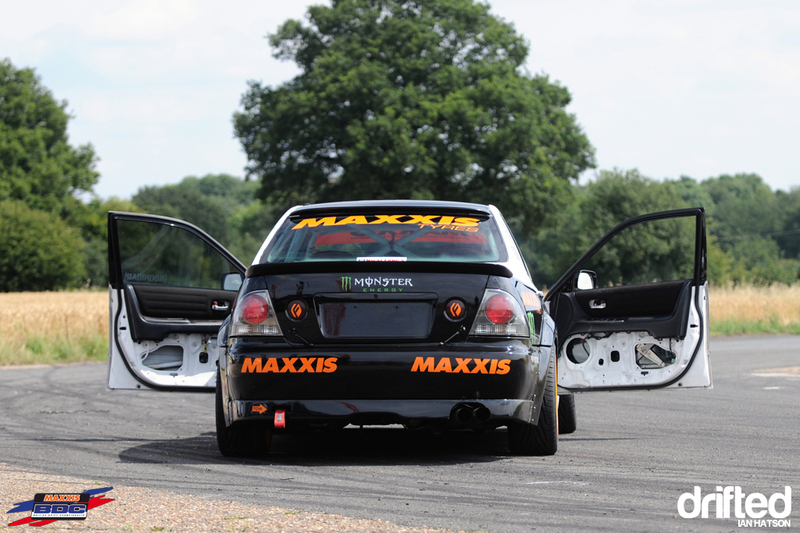 After completing his sightseeing tour of London, they headed to Bovingdon airfield to meet up with the Japspeed team and to get in some all important seat time to adjust to the car Ryan would be driving this weekend. …but it didn’t take him long to get to grips. 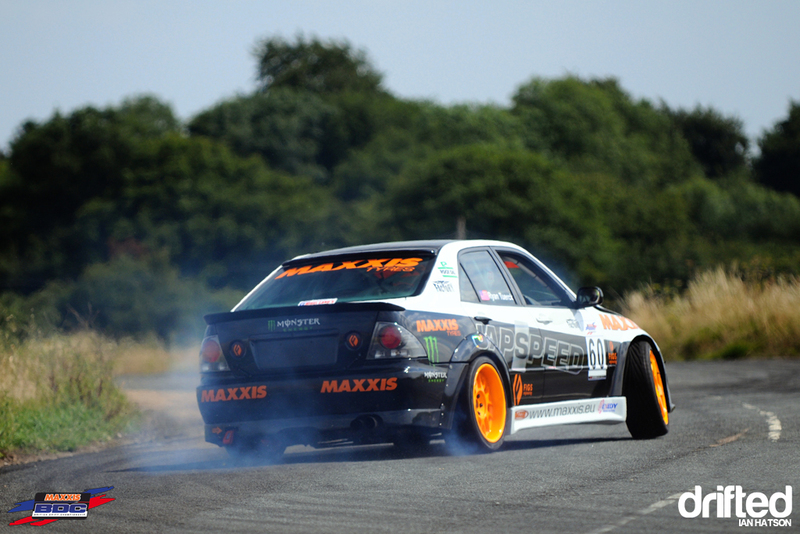 And before long he was working the 2JZ Lexus hard and smoking out the English countryside! He described it as “very tricky to get used to” but after a few laps he seamed to have mastered it. 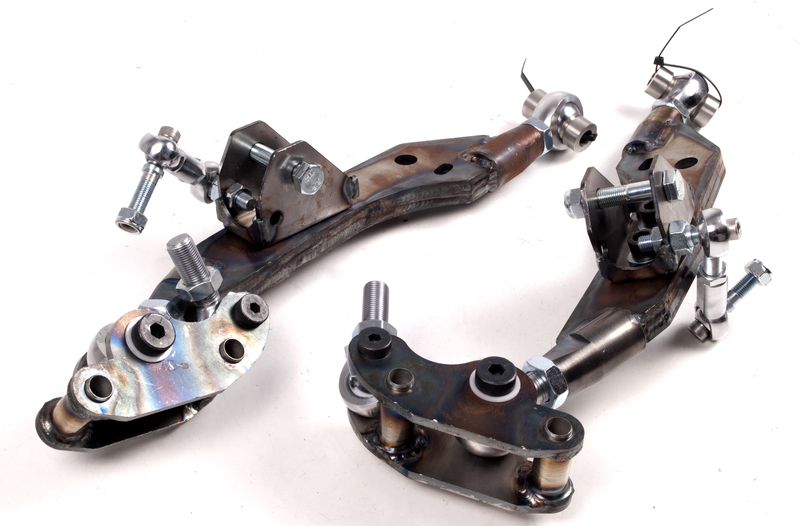 The 2JZ-powered Maxxis Japspeed Lexus has been treated to some rather trick and very mechanical-looking FIGS Engineering front suspension components ready for Ryan’s session in the car. 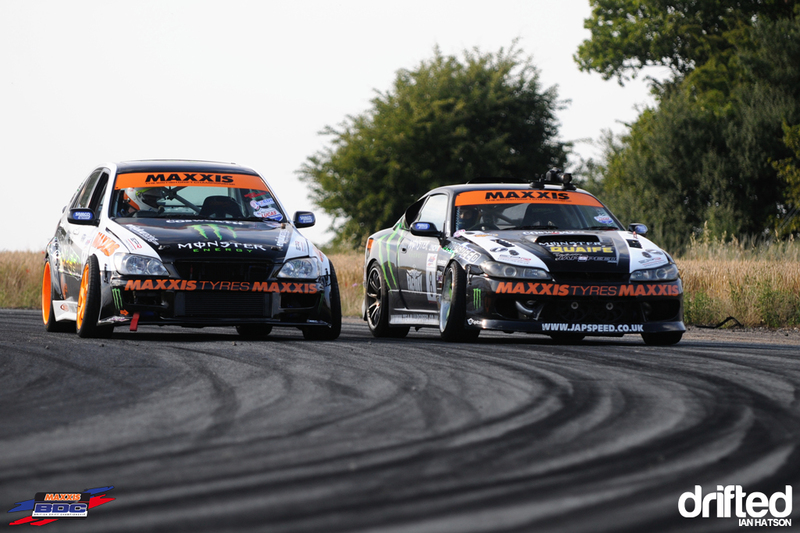 It had previously been running a fairly basic standard setup, which was fine for demonstrations but the Japspeed team really wanted to allow Ryan to push the car hard in competition. 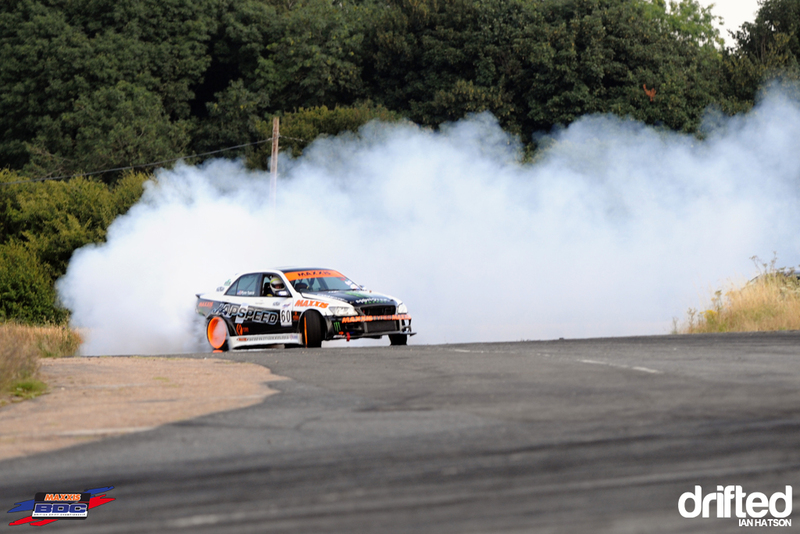 It looks to be working well, Rayn managing to carry maximum angle with huge amounts of smoke pouring out of the Lexus’ rear wheel arches. 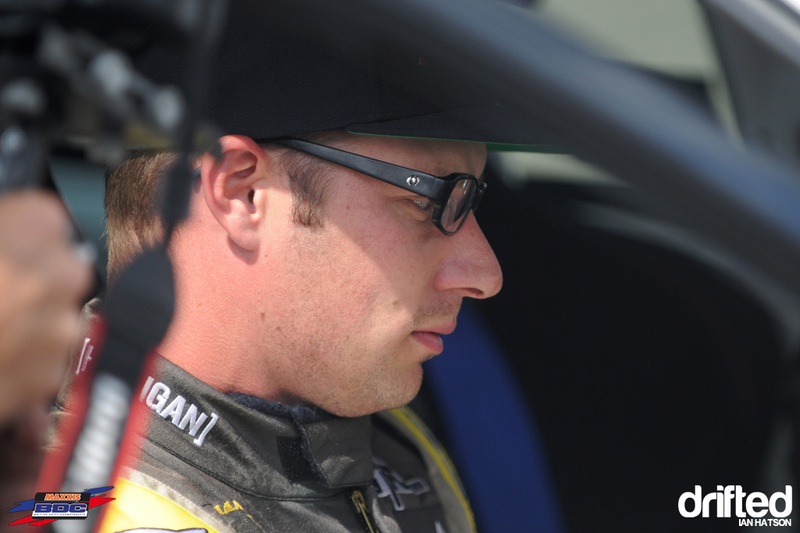 …but after watching Ryan drive during testing we can’t see it being too much of a problem. 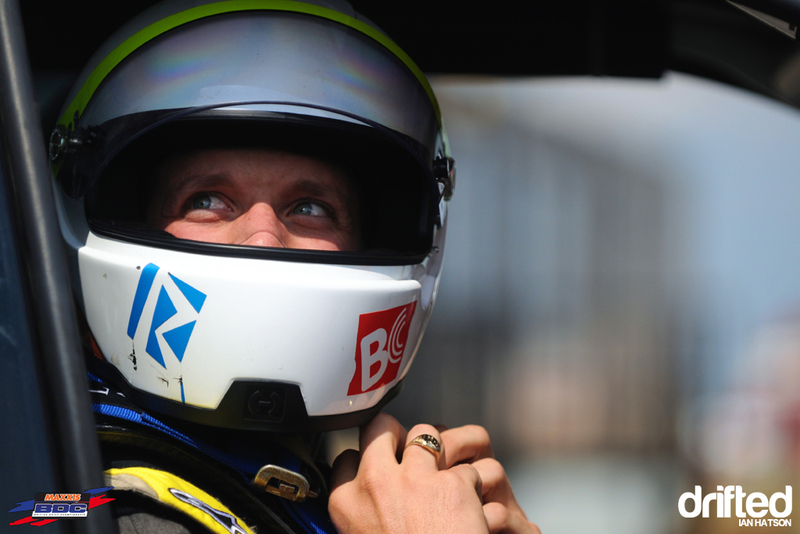 …making the most of the seat time to get his eye in for the weekend too. 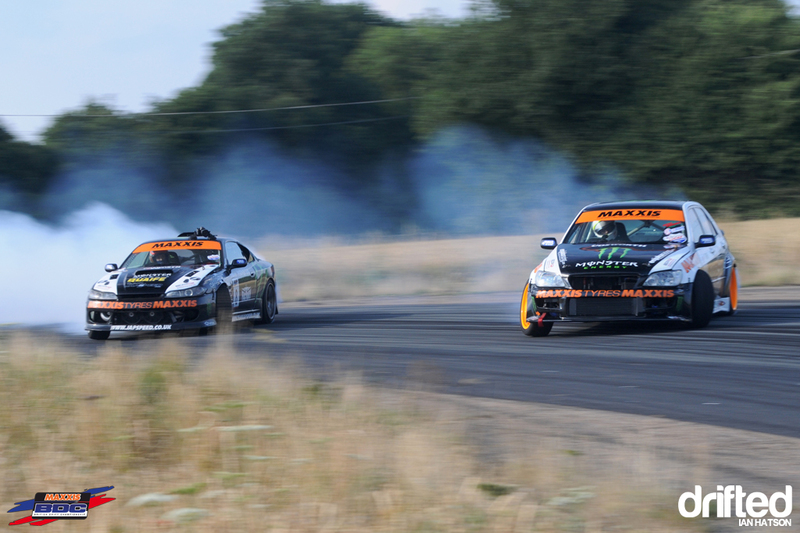 …it soon escalated to fourth-gear tandem runs between the two drivers. 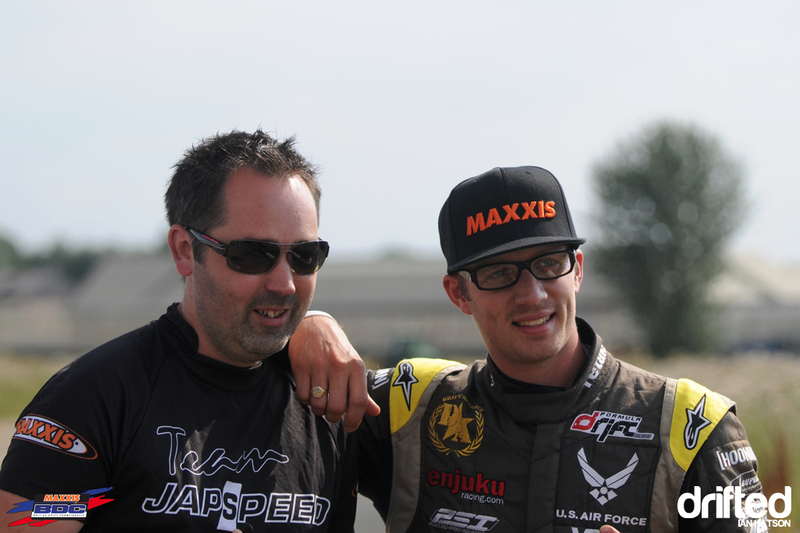 The Japspeed team were on hand of course to take feedback from Ryan and tweak the car to suit his driving style the only thing they can’t do is swap the steering wheel to the other side! …and perform his media duties. 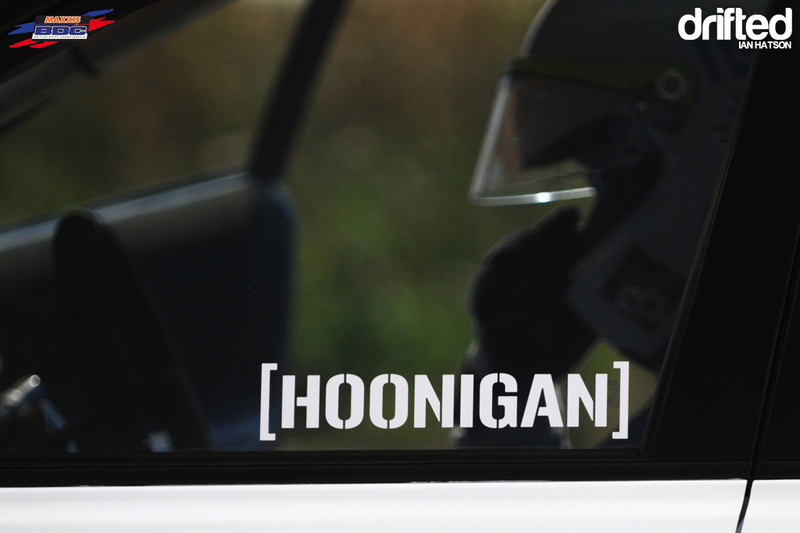 We look forward to seeing how he does at Lydden this weekend. 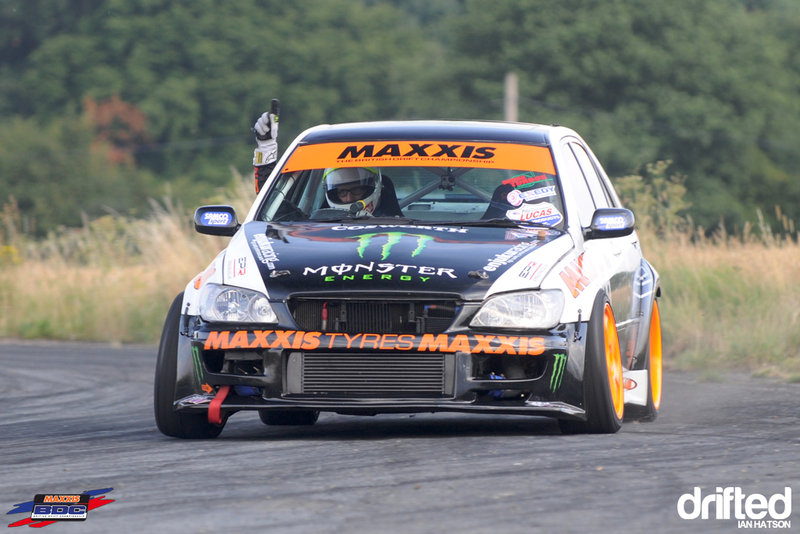 For more details on the event, visit www.thebritishdriftchampionship.com.